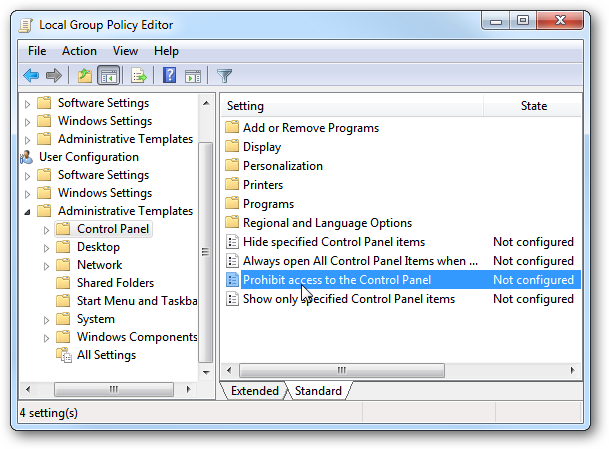 When Local Group Policy Editor opens, navigate to User Configuration \ Administrative Templates then select Control Panel in the left Column. In the right column double-click on Prohibit access to the Control Panel. 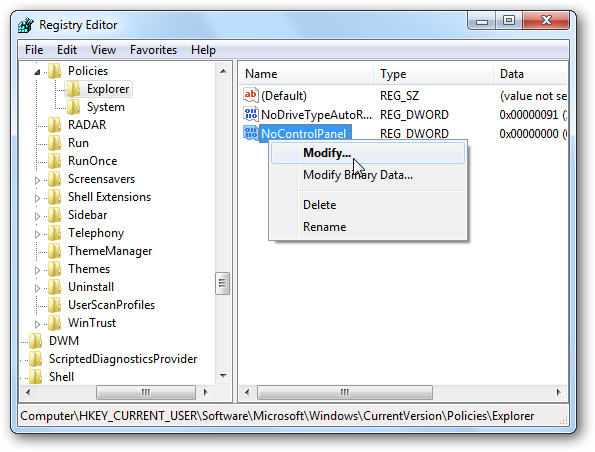 In the next window, select Enable, click OK, then close out of Local Group Policy Editor. After the Control Panel is disabled, you’ll notice it’s no longer listed in the Start Menu. 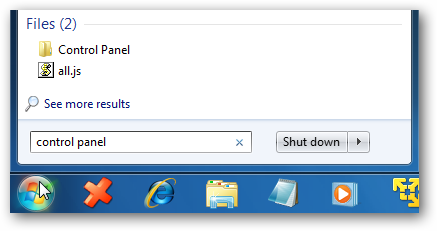 If the user tries to type Control Panel into the Search box in the Start menu, they will get the following message indicating it’s restricted. 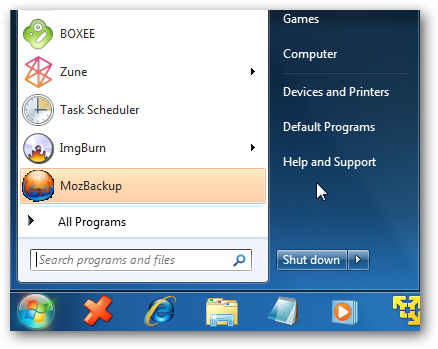 You can also tweak the Registry to disable Control Panel. This will work with all versions of Windows 7, Vista, and XP. Making changes in the Registry is not recommended for beginners and you should create a Restore Point, or backup the Registry before making any changes. Type regedit into the Search box in the Start menu and hit Enter. 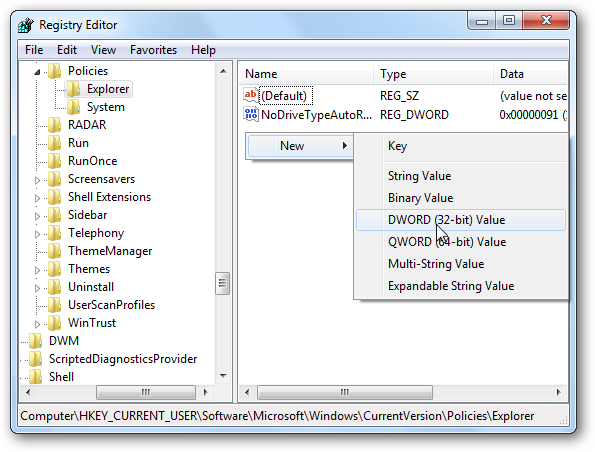 In Registry Editor navigate to HKEY_CURRENT_USER\Software\Microsoft\Windows\Current Version\Policies\Explorer. 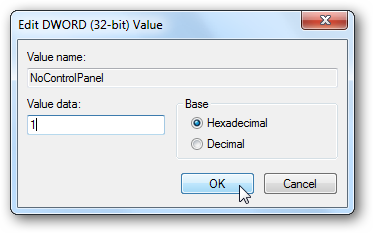 Then right-click in the right pane and create a new DWORD (32-bit) Value. In the Value data field change the value to “1” then click OK. Close out of Registry Editor and restart the machine to complete the process. 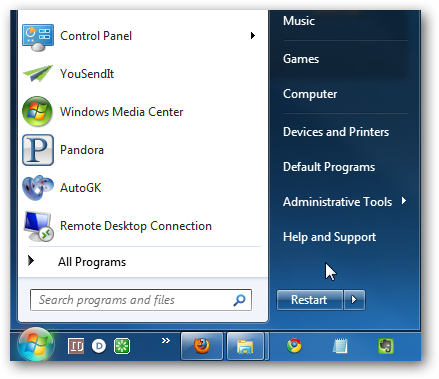 When you get back from reboot, you’ll notice Control Panel is no longer listed in the Start menu. They will get the following message indicating it is restricted, just like if you were to disable it via Group Policy. If you want to re-enable the Control Panel, go back into the Registry and change the NoControlPanel value back to “0” then reboot the computer. This comes in handy if you have inexperienced users working on your machine and don’t want them messing with Control Panel settings.